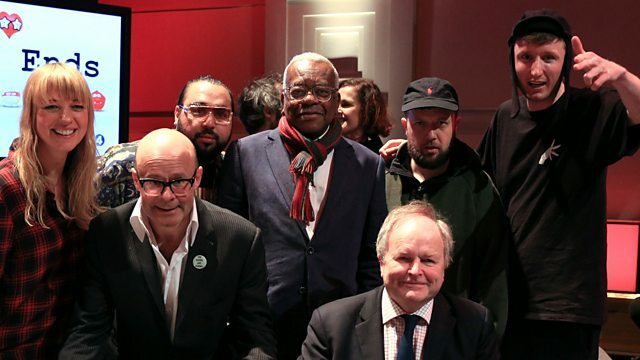 Clive Anderson and Sara Cox are joined by Sir Trevor McDonald, Alison Moyet, Harry Hill, Kurupt FM and James Rhodes for an eclectic mix of conversation, music and comedy. With music from Alison Moyet and James Rhodes. For this year’s Red Nose Day Sir Trevor visited staff and beneficiaries at the Maytree Suicide Respite Centre, a Comic Relief funded project, which is the only place of its kind in the UK. Kurupt FM’s music video with Ed Sheeran will be unveiled on BBC One on Red Nose Day. ‘People Just Do Nothing’ will be back on BBC Three later this year. And this summer, you can catch Kurupt FM at Lovebox, Bestival, Reading & Leeds and Latitude festivals. To find out how you can get involved and start bidding on the Red Nose Day auction, tune into Radio 2 on Tuesday 21st March. ‘How to Play the Piano’ is published by Quercus and available now. 'Harry Hill's Fun Fun Capsule’ is on Thursdays at 20.30 on ITV. ‘Other’ is out on 16th June on Cooking Vinyl. Alison is touring the UK in October and November. Check her website for details.